Data center capacity expansions over the next two years will come primarily from colocation and cloud hosting or by adding compute capacity without any physical expansion, according to a recent survey of U.S. enterprise data center managers by Vertiv. As companies embrace hybrid computing strategies, they will need flexibility in scaling capacity across different data center environments. As your business or market shifts, how will your data center respond? Depending on how you manage it, physical infrastructure can be a limiting factor to growth and scalability – or it can be an enabler to a higher performing data center. 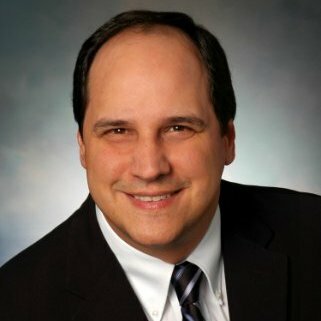 Peter Panfil, Vice President, Global Power at Vertiv – With over 35 years of experience in embedded controls and power, Peter Panfil leads global power sales for Emerson Network Power’s Liebert AC Power business. He works to apply the latest power and control technology to industry-proven and emerging topologies to provide the highest availability and highest efficiency systems for business-critical applications. Additionally, Peter partners with customer groups to incorporate industry trends into new product development. He began his career at Liebert in 1994 and held several managerial positions including VP Engineering and VP/GM AC Power before becoming VP Global Power for the AC Power Business. Peter is a frequent presenter at industry trade shows and conferences, and provides regular expert commentary in leading IT, facilities and engineering media outlets.